New York has missed their chance to legalize online poker in 2015. Assemblyman J. Gary Pretlow recently wrote an op-ed for Roll Call where he admonished Congress for their attempts to pass the Restoration of America’s Wire Act (RAWA). While that was a worthy piece, he should have admonished his own state for their failure to act on iPoker regulation. With rumors of moratoriums on iGaming expansion circling around Congress, perhaps it is time that New York pick up the pace in their quest to legalize iPoker. Below are four reasons why New York needs to legalize online poker in 2016. At present, only three states offer online poker legally in the United States. While that number has failed to grow since 2013, that will not remain the fact forever. Pennsylvania and California have been aggressively addressing the issue in the past year and it is just a matter of time before other states make an effort to legalize the game. On the east coast, some states that could go online in coming years include Pennsylvania, Maryland, West Virginia, Florida and Mississippi. New York would need to go online as well as a way to stay competitive with nearby states or risk potential gambling dollars migrate to other states. While initial estimates are always dicey due to unknown factors in launching iPoker, a regulated online poker market in New York is estimated to bring in between $50 and $80 million in tax revenue to the state in the first year. 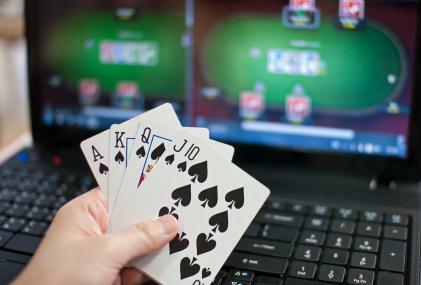 As states struggle to find sources of funding for ever-growing budgets, online poker could provide a consistent annual funding source that could be used to help fund school, improve infrastructure or improve social projects in the state. It is a fact that online poker regulation protects citizens. Look at Nevada, New Jersey and Delaware. Those states have regulated iPoker and citizens enjoy protections granted by their state regulatory authorities. Player funds are segregated, meaning that if every player in the state were to cash out at the same time, the casinos can pay. Next, there has yet to be a single case of underage gambling in regulated states thanks to superior identity verification software. Simply stated, regulation works to protect citizens and their funds. If the state is serious about protecting their taxpayers, legalizing online poker seems the next step. Certain members of Congress have been trying for the last couple of years to ban online gambling in this country. Now that it appears that RAWA might finally be defeated, an alternative proposition is being proposed. Under this new proposal, states would be blocked from expanding gambling while the government studies online gambling. States that have already expanded into online gambling can continue to offer it but the rest will be forced to wait. This study would effectively stop online gambling growth nationwide for an undetermined period. If New York wants to beat out such a proposal, they should go ahead and start working on a bill in the early part of 2016. Tagged J. Gary Pretlow, New York iPoker, online poker New York, online poker regulation. Bookmark the permalink.